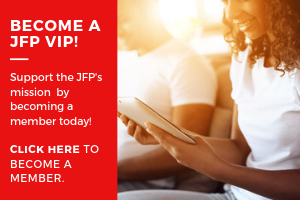 September 2002: The JFP's Mission What: "Our mission is to provide straightforward, in-depth, well-reasoned and insightful reporting about news, politics and cultural events in Jackson." We will entertain and challenge readers with knowledgeable and critical coverage of Jackson’s cultural strengths. We will present a news voice that appeals to the under-served people of the community. We will encourage civic participation and voting. We will promote diversity through hiring, reportage and viewpoints, distribution and active solicitation of non-white businesses in our advertising pages, calendar, classifieds and one-to-one pages. We will recruit and train journalists and other staffers and contributors from under-served communities. We will promote locally owned businesses over corporate and big-box outlets and provide a marketplace for entrepreneurship and enterprise that improves Jackson and its neighborhoods. We will encourage and watchdog intelligent redevelopment of downtown Jackson. We will cheer on an artistic, creative, inclusive approach to quality-of-life improvements. We will work to encourage health and wellness in the community every way possible. We will play an active role in building a diverse and cohesive progressive community that will attract positive economic development and Mississippi’s best, brightest and most creative people."